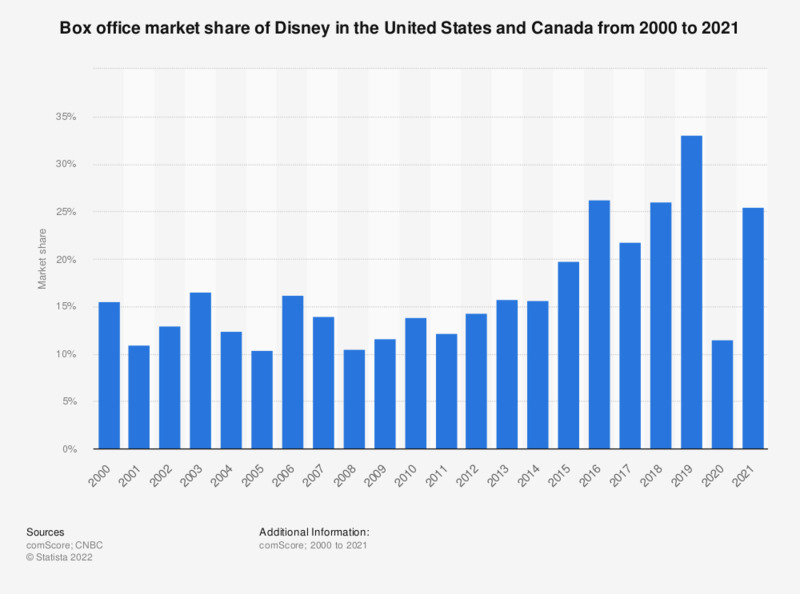 The statistic above presents data on the market share of Disney / Buena Vista at the North American box office from 2000 to 2018. In 2018, Disney / Buena Vista's releases accounted for 26 percent of all earnings at the box office in North America. Market share is the share of total box office revenue in North America in the respective year.